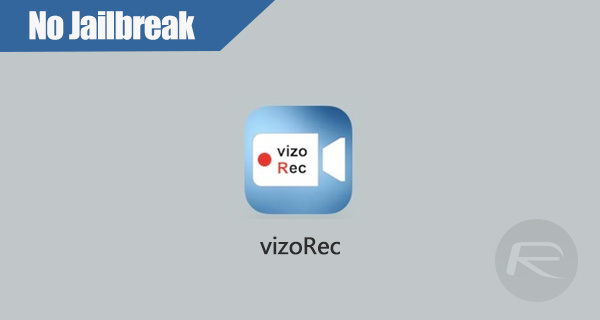 Here’s how to download and install vizoRec IPA of screen recorder app on iOS 10 devices. No jailbreak is required for this to work. Step 1: You will first of all need to be in possession of the vizoRec IPA installation file in order to get it into your device. You can get the file by heading to the official website here at vizorec.com in Safari web browser directly on the device itself, and then choosing the download link that sits just above the marketing video for the app. Step 2: Clicking on the “Download” button will not only initiate the download process but will also install it directly on the device without having to sideload it manually using Xcode or Cydia Impactor. Step 3: With the vizoRec app installed, you will now need to go through the relatively minor process of telling iOS to trust the installation. In order to start this process, launch the Settings app and navigate to General > Profiles & Device Management (or just Device Management in some cases). Step 4: Locate the enterprise profile that’s assigned to the installation of the vizoRec app and tap on it. You will notice that there is a Trust button in the middle of that profile. 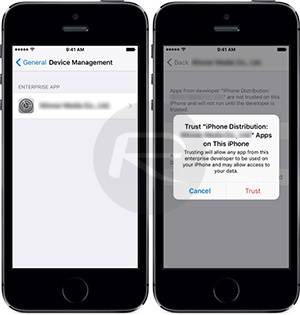 Tap on it and then tap on Trust again when the alert is presented. Step 5: You can now exit out of the Settings app and locate the vizoRec app on the Home screen. Tapping on the icon will launch the app as expected and give you access to all of its screen recording functionality. Enjoy the unrestricted screen recording experience on an iOS 10-running iPhone or iPad!